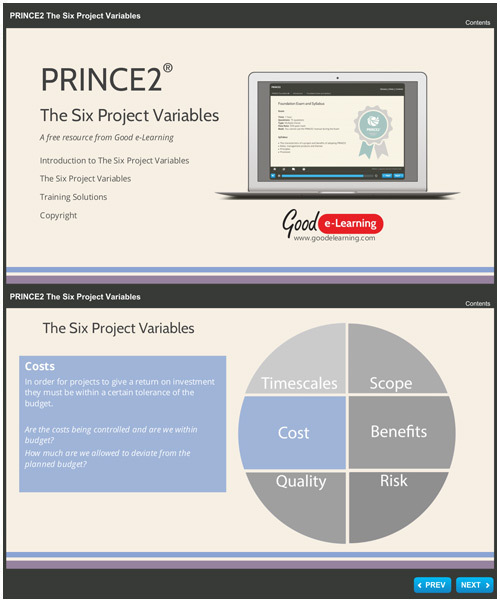 In this interactive resource, we examine the six PRINCE2 variables that make up the performance targets. These six performance targets are: timescales, costs,quality, scope, benefits, and risk. Every project manager should aim to control the six performance targets on a regular basis as each has a direct affect on each other.